Deirdre Connelly is president, North America Pharmaceuticals for GlaxoSmithKline (GSK). The global health care company announced on July 25 that Health Canada had approved a BRAF-inhibitor, Tafinlar, and MEK-inhibitor, Mekinist, for melanoma patients with BRAF V600 mutation, offering new hope for those afflicted with metastatic melanoma. Deirdre is a member of the global Corporate Executive Team and co-chairs the Portfolio Management Board. 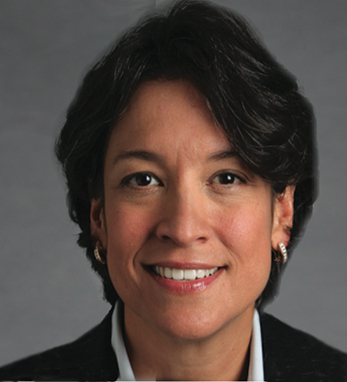 She has also served as the CEO and president of Human Genome Sciences Inc. Consistently recognized by Fortune as one of the 50 most powerful women in business, Deirdre was named Woman of the Year by the Healthcare Businesswomen’s Association in 2012. In 2008, she was appointed to the President’s Commission on White House Fellowships. Deirdre was born in San Juan to an Irish father and a Puerto Rican mother. She earned a bachelor’s degree in economics and marketing from Lycoming College in Pennsylvania and graduated from Harvard University’s Advanced Management Program, and in January 2013 was appointed to the Harvard University Public Health Policy Council.